Give your clients the facts on everything almonds have to offer, including a description of all the nutrients in an ounce of almonds and how almonds stack up to different tree nuts. 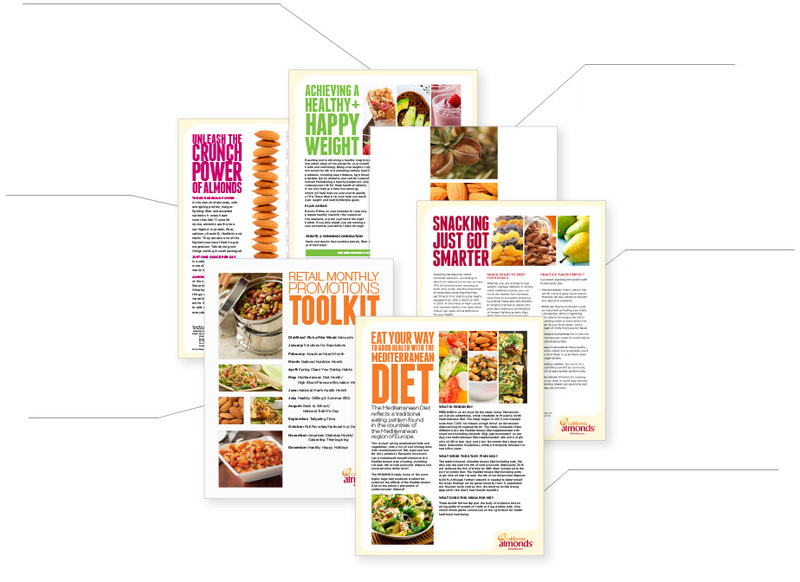 Get 12 months of inspiration with the Supermarket Dietitian Too. Stay up to date with the latest almond nutrition research. Get your clients on track to smarter snacking with these helpful snacking guides. Help promote a healthy lifestyle for your clients with useful tips, tricks and information to help them stay on track.